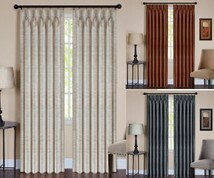 For over 15 years Linens4Less.com has carried pinch pleated drapes which are still as elegant as ever. 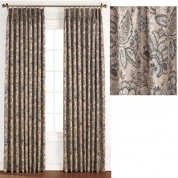 Sold by the pair, pinch pleated drapes are pre-pleated and gathered no there is no guesswork or stressing over how full they need to be. 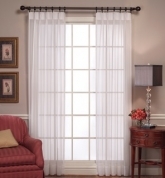 The stated size covers that amount of window width so a 96" wide pair will cover up to 96" of window/rod and will include 2 panels that are 48" wide each. 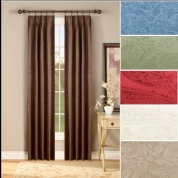 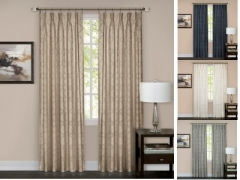 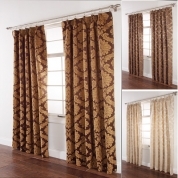 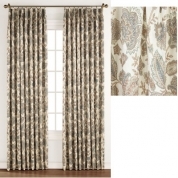 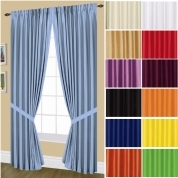 Pinch pleated drapes can be hung with drapery pins or clip-on rings which are not included. 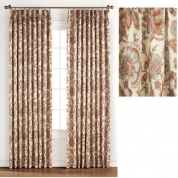 Our selection of pinch pleated curtains include sheers, prints, thermal insulated and more from top brands like Stylemaster, HCI Curtain, Belle Maison and Editex.